How many of you who are going to be doctors are willing to spend your days in Ghana? Technicians or engineers, how many of you are willing to work in the Foreign Service and spend your lives traveling around the world? On your willingness to contribute part of your life to this country, I think will depend the answer whether a free society can compete. John F. Kennedy knew that immersive cross-culture exchange would blend the values of these prospective countries by opening up an ongoing constructive dialogue, thus, reinforcing a multi-cultured world. Clare brought me through her day-to-day life working alongside her Ghanaian friends on a cashew farm which sparked interesting questions about gender roles. The most rewarding aspects of being immersed in a foreign culture are the paradoxical realities that cannot be discovered in a text book, but instead, require true connection. Clare shed light on the value of embracing cultural differences and harnessing the power of foreign relationships. Her volunteer experience in Ghana crystallized her ambition to help people gain a voice and protect their communities for themselves and future generations. Pictured: Nana making yarn out of wool. Clare lived in Nana's household along with Nana's sister, Mame. According to Clare, she is the sweetest. When Clare left Ghana, Nana gifted her a spool and the stone that she used to weight the wool then pull it into a strand. Pictured: Clare and some of her Ghanaian friends. The boy in the middle is named Prince, he has autism and suffers from seizures. Clare and Prince developed a very close friendship. This phenomenon was visible in Ghana. I lived with people who rely on a predictable climate for their crops. Because of climate change, their food security and income are in jeopardy. The people of Ghana use far less fossil fuels than the west, but they are faced with the consequences of our actions. There are many other issues on a much smaller scale with water and air quality, waste management, and ecology—where people with the least power are forced to accept living with environmental hazards. Clare unraveled these issues as she farmed, day after day, adjoined to her Ghanaian friends on the farm. Each morning, the mother, Angela—who usually held a baby on her back—and her young daughters, would lug food and water on their heads for three miles to the farm. Once they arrived, if it were cashew season, they would spend hours picking cashew apples off the ground, twisting the nut and throwing away the sour fruit. After taking a lunch break and working for three or four more hours, since it is a woman's responsibility to tend the fire at home, the mother would then chop the firewood that would later be carried home on their heads. As for the men, they begin farming earlier than the women, but at a much more moderate pace. This is because the men are sometimes tasked with hard labor like building mounds for yams—a duty off-limits to women—and because they simply have less to do. Clare recalls that, “by the time the men go early to farm, the wife cleans the house, sweeps everything, makes breakfast, is selling her own thing (like fried dough or porridge), gets the kids ready for school, prepares lunch, brings it to the farm, and feeds the men.” Also, the men usually ride motorcycles or bicycles as means of transportation, unlike the women, who have to walk. To Clare, it is obvious that women are not valued as much as the men in Ghanaian society, but the fact that women hold more representation in politics causes the social commentary on gender roles to remain unclear. Ghana’s communal tendencies also influence their monetary system. Before living in Ghana, Clare thought that money was fixed and had rules, like most Americans would assume with their “don’t spend more than you earn” mentality. In order for a culture to thrive, it must align itself with either order or chaos. In this case, in the eyes of any American, chaos triumphs in Ghana. Clare quickly realized that money is completely cultural and that the Ghanaians do not save because that would mean people could borrow their money. Their society relies on the guarantee of helping one another, constantly expecting and reciprocating this promise. Some people take advantage of the system and live perpetually indebted to others, but for the Ghanaians, this drawback isn’t great enough to change their ways. 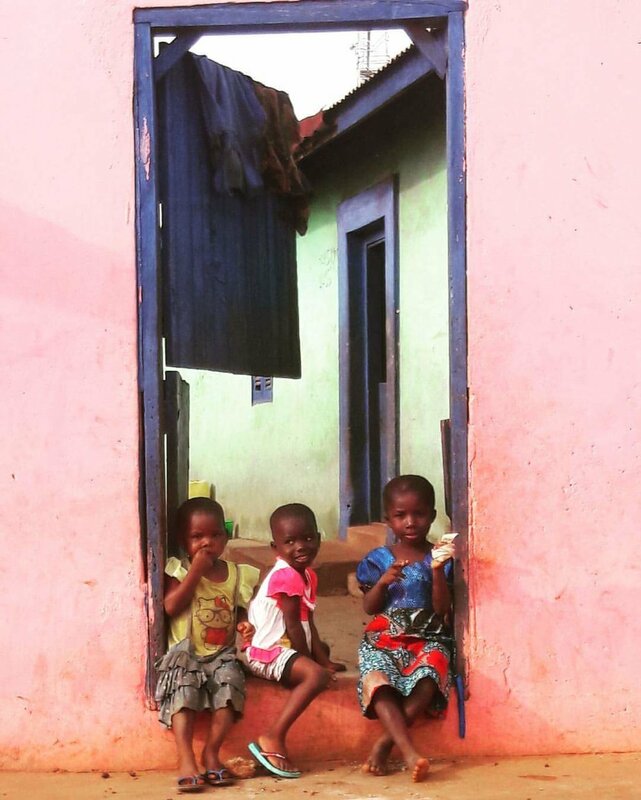 While in Ghana, budgeting and planning was a struggle for Clare, and deadlines did not exist. She had to set boundaries. The book, “African Friends and Money Matters,” by David E. Maranz, was issued to the Ghana Peace Corps volunteers, and argued that, as a westerner, you will never become fully immersed into every aspect of a foreign culture. Although the cultural barriers were apparent, for Clare, they acted as learning experiences that allowed her to adopt, appreciate, and integrate new ideas. She became more open to sharing and when her items were returned to her broken, instead of being insulted, she was able to recognize the fundamentally different relationship Ghanaians have with material items. Clare notes, “westerners are much more about acquiring. Ghanaians will use something until it is totally exhausted. Especially flip flops. They will put them over the fire, melt the plastic and put them back together. That is what a lack of options looks like.” Living amongst these major lifestyle polarities is what the Peace Corps is about, getting to know what another culture is like. Clare’s experience demonstrates how worldliness leads to humility. The way shops or stores work… ladies will just be in their stores asleep. If you want to buy something you have to wake them up. If I wanted to, I could open up their jar of money, take it, and run. And it just doesn’t happen. It is a cultural pact. They like to be able to sleep in their shops and trust one another. If someone messes that up, the consequences are so huge that you would not dare. So, what are the consequences? If someone is caught stealing in Ghana, they will face the punishment of public shaming. One night in Ghana, Clare was hanging out on the beach with a bunch of friends when she witnessed a crowd of people begin to circle a young boy, almost hitting him. They started screaming, “YOU ARE A THEIF! YOU ARE A LIAR!” He had stolen someone’s phone. Clare remembers, “even his family members participated, because if his family wasn’t seen joining in and calling him a thief, they would have been assumed to be thieves themselves. It is about reputation and pride. Those are the consequences. It’s like ‘mob societal justice.’” Clare outlined the way in which Ghana handles justice, but did not claim it was right or safe—just different. The benefits of cultural immersion were evident that night. Unlike many of her friends on the beach, Clare was able to pick up subtle cultural precepts that indicated the context of the public shaming. Pictured: Clare's best friends, Donkor and Wisdom. They had just spent the day making soak away pits to reduce standing water and thus, preventing malaria in their community. Pictured: One of Clare's chiefs and her counterpart at a going away party. I don’t think people appreciate that this positive relationship isn’t guaranteed. We have this soft political power in the world because we are a big exporter, employer, and we are the United States. I saw so much influence from China in Ghana and it made me realize that our power is not guaranteed forever and if we don’t foster those relationships with other countries, it will be gone. Clare lived up to the challenge John F. Kennedy set forth for young educated individuals to commit a portion of their life to service. And it won’t be the last time for Clare, she would like to serve in the Peace Corps again. As a volunteer, her example and influence will have a lasting impact on Ghana and the United States. Currently, Clare is residing in Houston with her boyfriend—who is also a Peace Corps volunteer—as she anticipates the start of her master's program at the University of Michigan. Below the surface of being a volunteer lies a world of opportunity to change how we view others, ourselves, and the world. Cross-cultural exchange creates unbreakable bonds and strengthens diversity, in turn, making the world a better place.